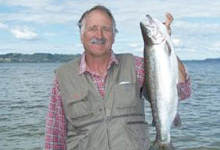 “As a very keen Trout Fisherman, I have stayed many times in this park over a period of 55 years. Trout can be pursued, and caught, in many areas within a few minutes walk or a very short vehicle drive. 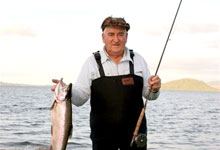 Ngongotaha, Waiteti, Awahou, Hamarana, are all top fishing spots for stream or lake fishing. Rainbow Trout up to 3 ½ kilos and occasional Browns up to 6 kilos are regularly caught by amateur fishermen/women or children. Fly fishing and spinning are both popular. 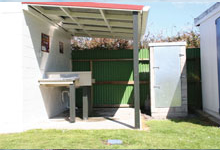 The locality of this camp gives very good access also for boat fishermen on lakes Rotorua, Tarawera, Okataina, Rotoiti, and many other top trolling, jigging and fly fishing waters all year round. It is the only tackle shop outside of the city which sells fishing supplies and equipment for your enjoyment. 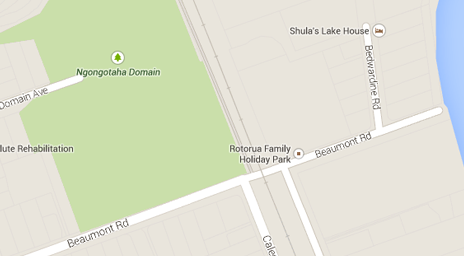 Contact us today to discuss your accommodation requirements in Rotorua. We offer: powered campervan and tent campsites, standard cabins, park motels, ensuite room and self-contained 1 and 2 bedroom units.